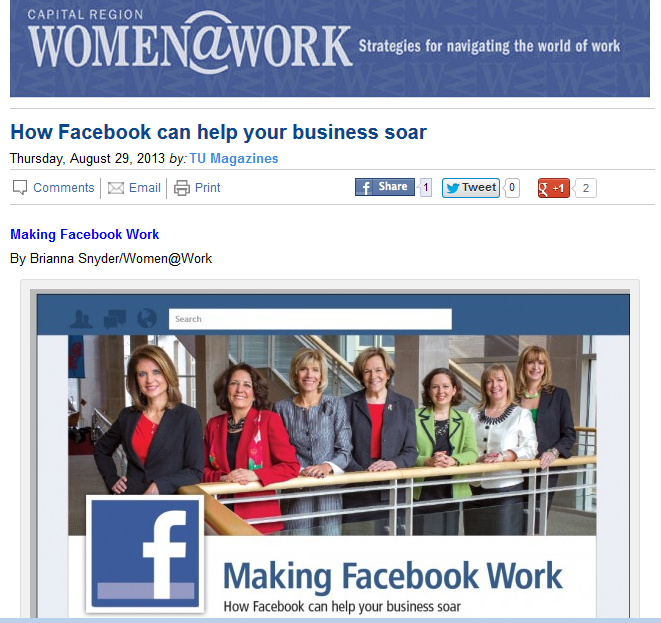 Women @ Work, a magazine feature of a NY Capital Region newspaper recently interviewed Rebecca Murtagh, recognized thought leader and CEO of Karner Blue Marketing LLC regarding social media. The magazine feature article highlighted tips from Rebecca Murtagh in the context of Facebook as a business marketing tool. Most important tip: Have a plan before you invest valuable time and resources into Facebook or any social media platform with the intent of promoting your business. Click to view the entire article. In Summer 2012, the Global Mobile Data Traffic Forecast Update by Cisco projected that the number of internet-connected mobile devices will exceed the world’s population this year. Think about that for a moment. That doesn’t mean every human on the planet has a mobile device. Rather, it means that those with mobile devices will likely have more than one. In fact, Cisco projects that 25% of mobile device users will have more than one device by 2016. Smartphones, Tablets, Gaming Consoles and Laptops (interestingly) are among the devices that will out-populate humans on the planet earth. Mobile data usage in 2011 was 8x the size of the entire Internet worldwide in 2000. 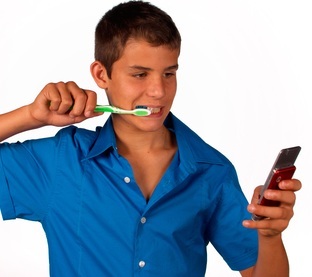 Smartphones will exceed 50 percent of mobile data traffic in 2014. Mobile network connection speeds will increase 9-fold by 2016. Android data use is higher than iPhone use. Video traffic via Mobile device exceeded 50 % (over non-mobile devices) for the first time in 2011. By 2016, tablets will generate almost as much Mobile traffic as the entire global mobile network will in 2012. Kinda makes you think doesn’t it? Now is probably a good time to devise your digital marketing strategy on how you will meet and serve your audiences on Mobile. In February 2012 I wrote a blog post covering Google’s shift from word-based index to the knowledge graph. I based my presentation at PubCon Paradise social media and search conference in Waikiki to an audience of SEO and social media professionals on how the Knowledge Graph would change how search connected the dots between things, people and places. 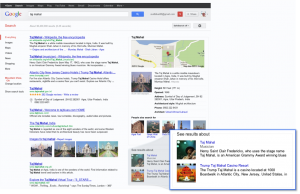 How Does Google Knowledge Graph Impact Search? Delivering the Right “Thing”: Google will leverage its broad database of knowledge to further define search. So, when you search for”prince”, Google will go a step further to identify whether you are looking for Prince the artist, Prince William and Kate, or Prince tennis equipment. Provide the Best Summary: Google will connect the dots between the topic and relevant data, attempting to anticipate what users will find of interest or value. The use of artificial intelligence will enable them to anticipate the context of search requests based on the history, profile and preferences of the individual conducting the search. Deliver Deeper, Broader Results: Google will go beyond the “word” (or keyword) to introduce relationships with other content, people, data, places saying, “…we can now sometimes help answer your next question before you’ve asked it.” Google will use what it knows about users to anticipate their question in to provide the best answer in search. Google explains how it has launched the Knowledge Graph to connect the dots between the words that represent the 500 million “things” and more than 3.5 billion facts they have collected in a more relevant manner for those conducting search. A piece by Wall Street Journal on May 16th on this topic put this discussion in the mainstream. SEO, financial and business communities became engaged as Danny Sullivan who was quoted as saying “...Knowledge Graph creates a more addictive experience for Google search users, who can now easily follow a series of links to related information on a topic. That in turn could boost the amount of searches users are conducting on the site. It appears the launch of Google Knowledge Graph has done just that as Wall Street Journal states that Google has reported in increase in searches since the launch of Knowledge Graph on May 16, 2012. How will Knowledge Graph Impact SEO? Because the name of the game is to deliver what search engines seek in order to achieve optimum visibility, SEO must incorporate the Knowledge Graph into their thinking. Inevitably the optimization of digital assets for search must move beyond words (or keywords) to connecting the dots between the relationship between things, people and places. I believe this will come much more naturally for those who have historically taken a strategic, marketing approach to SEO and have leveraged a Long Tail SEO method. However there is plenty of room for “keyword” focused SEO’s to adapt their methods to enable Google to connect the dots for their customers. 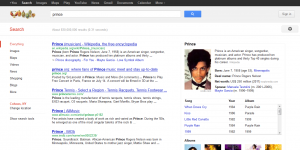 Will the Knowledge Graph Change How YOU Think of SEO? Chances are if you follow social media, search or digital marketing discussions online you’ve come across Rebecca Murtagh’s Google+ Profile, Tweets, Linkedin Profile, Facebook profile, Digital Marketing Firm, or All Virtual Marketing Blog. After 20-something years in marketing (actual years held back, after all a woman never reveals her age), and sixteen years leading the conversation of how to use the Internet for business, Rebecca Murtagh is launching a new website to highlight her professional ventures and initiatives. Rebecca has typically kept her projects quiet. Most of her clients require confidentiality, so she can’t share her client list, or what she’s working on in that respect. However, after years of leading the industry in identifying emerging trends and creating best practices, solutions and methods that help brands and businesses, Rebecca has decided to share more of what some call “the best kept secrets” in the ebusiness, marketing, social media and search engine landscape. Rebecca has been writing for many years. She has several books in the works, two of which are expected to be published in 2012. “Million Dollar Website: The Definitive Guide to Creating a Winning Website on Any Budget” is slated to release in Spring 2012 and “Spheres of Influence” will be released shortly thereafter. Additional titles are scheduled to follow. A popular keynote speaker, seminar, workshop and conference session speaker, Rebecca Murtagh has been sharing thought-provoking insights, observations on emerging trends, and best practices with audiences at international conventions, corporate training events, trade conferences, entrepreneurship groups, colleges and universities. View list of Rebecca’s Public Speaking Engagements. A firm believer in “Knowledge is Power”, Rebecca has been developing and delivering seminars, training programs, custom corporate training events, seminars and webinars on internet, search, social media, mobile, and digital marketing topics since 1998. Rebecca has also taken in a number of graduate and under-graduate marketing and business students from local colleges and universities as interns, helping them gain real-world experience in a wide variety of internet, social media and marketing initiatives. Rebecca shared her “Passion is Power” topic for the very first time in 2003 to overwhelming positive response in a packed conference room full of attendees that weren’t quite sure what to expect. The session created a buzz that carried throughout th rest of the conference. Rebecca’s book, “Passion is Power”, has been a pet project that has continued to evolve over recent years is likely to be released by early 2013. Rebecca has delivered a variety of lectures, discussions and presentations designed to help entrepreneurs leverage their strengths to differentiate themselves in the marketplace, grow their business for greater succcess and personal fulfillment. Watch for more on this topic. Rebecca is frequently called upon by clients, colleagues and peers to lend her insight, expertise and creative approach to help start-ups, business turnarounds and companies seeking venture capital or to reinvent themselves. Visit KarnerBlueMarketing.com to learn more about Digital Marketing, Social Media & SEO strategy and services.